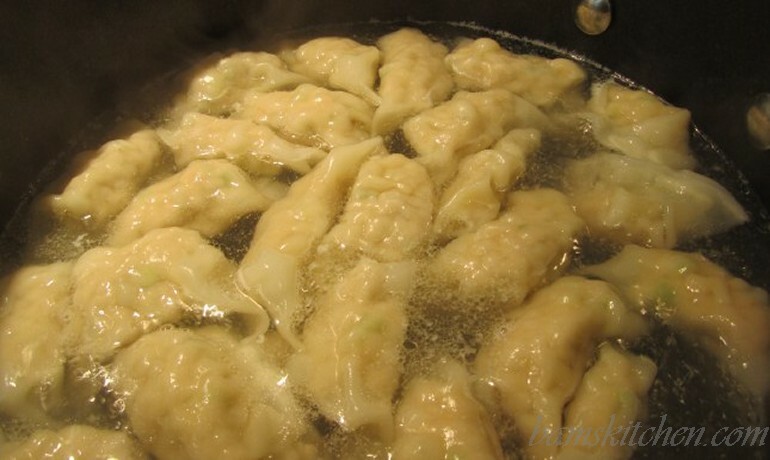 Jiaozi are eaten all year round and can be eaten at any time of the day. They can constitute one course, starter or side dish, or the main meal. 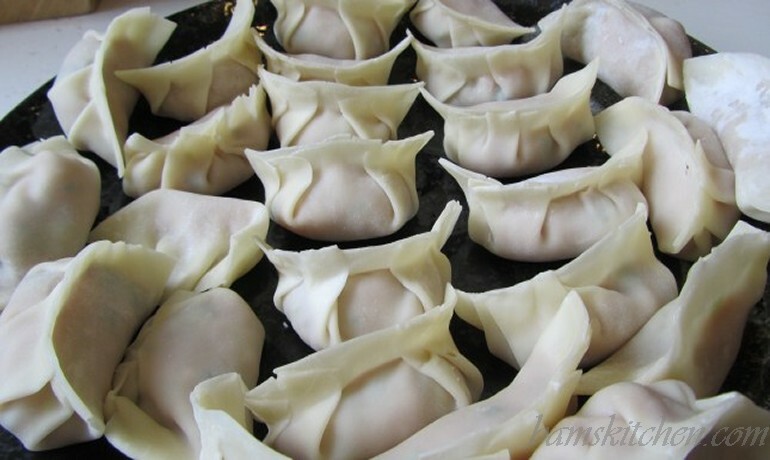 Every family has its own preferred method of making them, with favourite fillings, and of course, jiaozi types and preparation vary widely according to region. 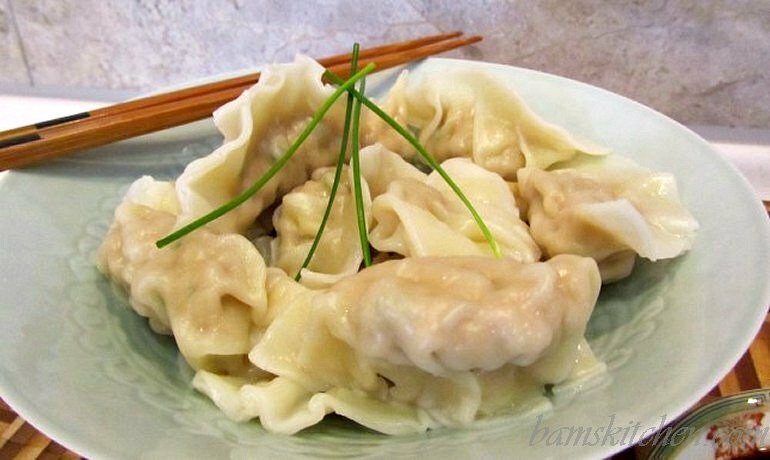 The history of jiaozi dates back to ancient times, some 500-600 years ago. As the Spring Festival marks the start of a new year, people choose to eat jiaozi to connote their wishes for good fortune in the new year. 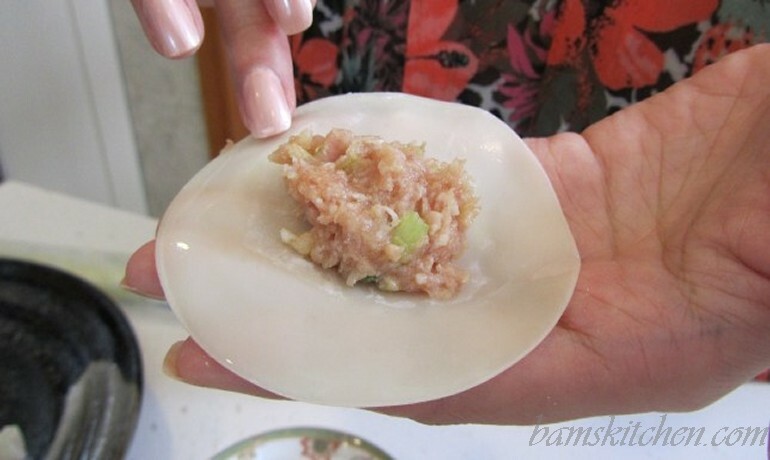 China has been perfecting the art of dumpling making since the Sung dynasty. It is a tasty tradition that is passed on from generation to generation. In Bam's Kitchen, I was able to watch and learn from the skillful hands of my dear friends as I am certain it has been passed down from their grandmothers and their grandmother's grandma. You get the idea! I think they might have made these dumplings, just a few times before....They can make 10 in the time it takes for me to make one and each one of theirs is symmetrical and perfect. The four of us friends gathered in Bam's Kitchen, and hence there are four - yes four spring onions on my dumplings. I know you are shocked as you know I would have never intentionally place 4 of any item on plate, due to bad luck. However, in this situation it is very good luck as the 4 of us together are the perfect harmony for friendship and cooking. 48 Jiaozi wrappers (You can find these in the freezer section of asian store or fresh in the wet markets - round small wrapper)- In Japan these are called Gyoza wrappers and these can be used if you cannot find Jiaozi wrappers but they are a little thinner. 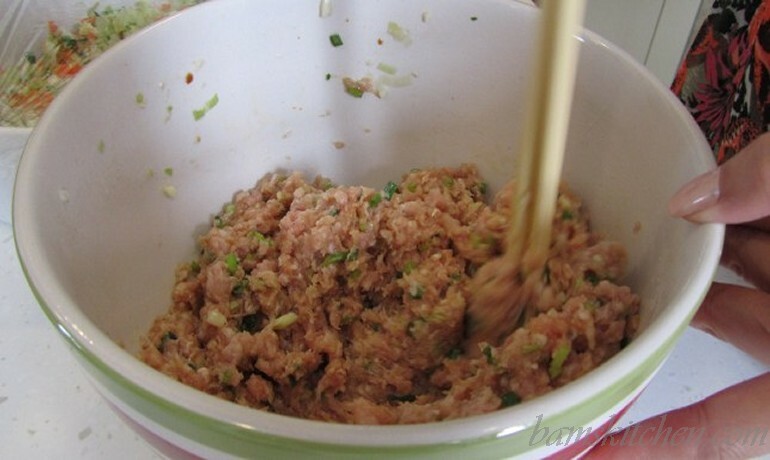 Step 1: In a medium bowl combine ingredients for pork filling (pork, scallions, ginger, garlic, sesame oil, rice vinegar, soy sauce, white pepper, and salt) and set in refrigerator for at least one hour so that flavors have a chance to mingle. 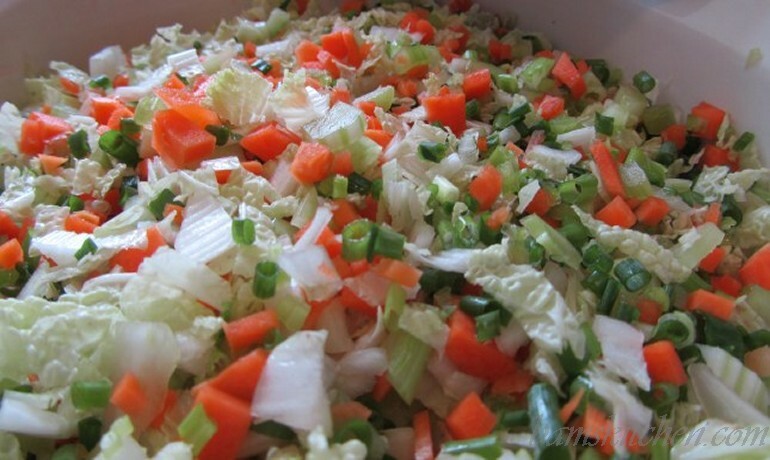 Step 2: If you would like to make the vegetable dumplings mix the celery, carrots, cabbage, tofu, garlic, ginger, scallions, sesame oil, rice vinegar, soy sauce, white pepper and salt together and set in refrigerator for at least one hour so that flavors have a chance to mingle. 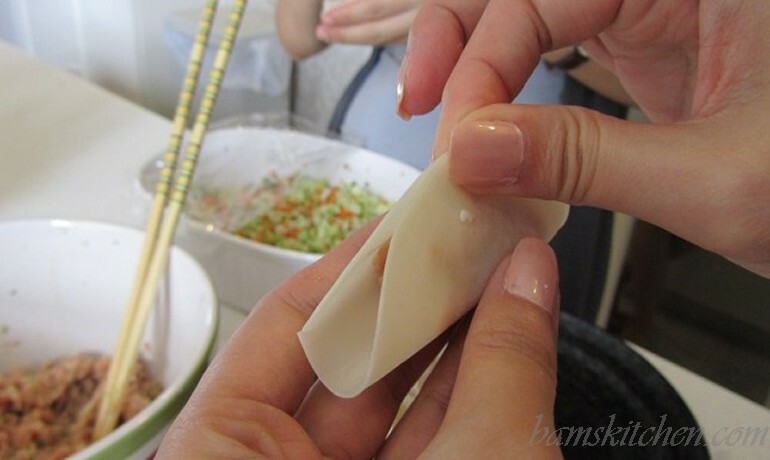 Step 4: Take 1 Jiaozi wrapper from pack and lay flat on your hand. Step 7: Fold jiaozi in half like a half moon and crimp. Step 8: Then start at one side and fold the jiaozi wrapper inwards and towards to center and crimp. Step 8: Repeat process by staying on the same side and fold the jiazi wrapper inwards and towards the center and crimp. Repeat 2-3 times on each side. 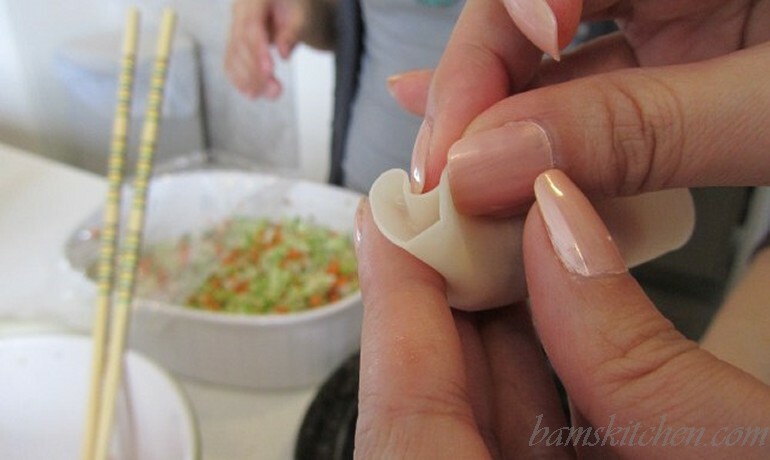 (FYI: there are many ways to secure these little jiaozi- In Japan I learned how to make dumplings by making my crimping all on one side numerous times. 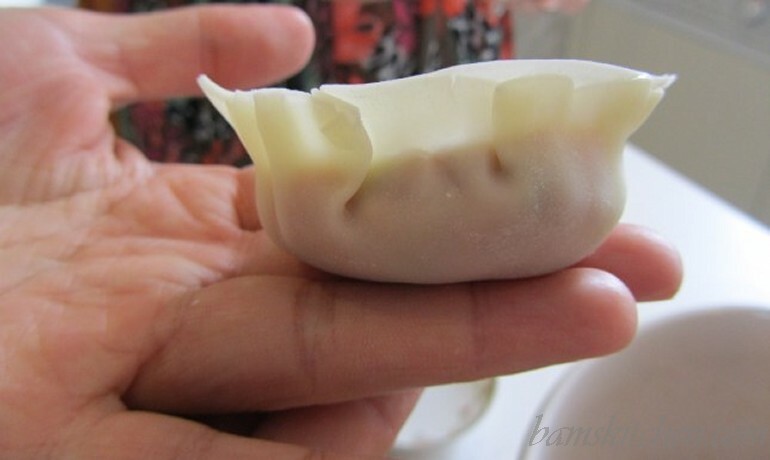 As long as the jiaozi stays together during the cooking process the "HOW" you get it to look and stay together are all personal preferences) However you get style points if your dumplings are cute and symmetrical. Step 9: Set jiaozi aside with a damp towel over if going to use immediately or if freezing dumplings put on a floured baking pan and place in freezer for about an hour until set and then you can transfer to a large sealable baggie and use at another time within the next 2 months. 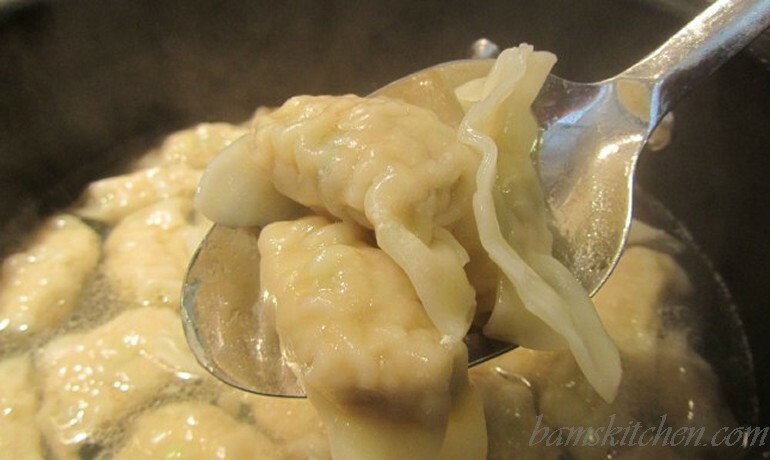 Step 10: Carefully drop dumplings in water with slotted spoon (place burner on medium high heat). Step 12: With a slotted spoon take out dumplings and drain and place on plate and serve with dipping sauces as desired. Garnish with spring onions. Step 13: 吃饱吃好 Eat Eat and Enjoy!